7 p.m. Camalli Books in Bend, reading and signing for Day Trips From Portland: Another could be observed in Illinois, where Scientific casino games includes a contract to watch and control 1000's of video lottery devices (VLTs). Getaway Ideas for the Local Traveler. Wine and snacks provided! 🙂 See you there! 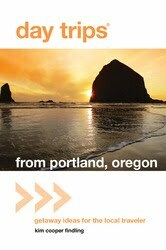 Day Trips From Portland, Oregon Releases Today! Oregon Quarterly Essay Contest Reading Tomorrow!